Sixteen years ago, in the wake of September 11, the New York Metropolitan Transportation Authority was looking for ways to involve passengers in the newly-important effort of reporting suspicious packages and behavior. They turned to Alan Kay, the advertising legend responsible and for numerous successful political campaigns, including most notably that of Ronald Regan’s re-election to President of the United States. Kay coined the phrase, “If you see something, say something,” which has since been adopted by over 30 transit systems worldwide, the FDA, and the Department of Homeland Security. It is unquestionably the ubiquitous and representative phrase for citizen situational awareness and crowd-sourced security, and it is wildly effective. In 2002, before the introduction of the campaign, there were 814 reports of suspicious behavior to the MTA. Just one year later in 2003, that number had increased by 4,550%, to over 37,000 reports. One of these reports, to the NYPD rather than the MTA, succeeded in preventing a terrorist attack on New York’s famous Times Square. On May 1st, 2010, disabled Vietnam Veterans Duane Jackson and Lance L. Orton Sr. were selling purses and t-shirts on the sidewalk at the corner of 45th and 7th. They saw and smelled smoke, and heard popping noises coming from a nearby Nissan Pathfinder, so they flagged down a passing mounted NYPD officer and pointed out the vehicle. It is interesting to note that were it not for the creativity of another New Yorker, Alan Kay, these two men may not have alerted that mounted officer. Times Square is sometimes referred to as the Crossroads of the World, and in this situation it was certainly a crossroads between quick thinking, and messaging prowess that saved potentially hundreds of lives. 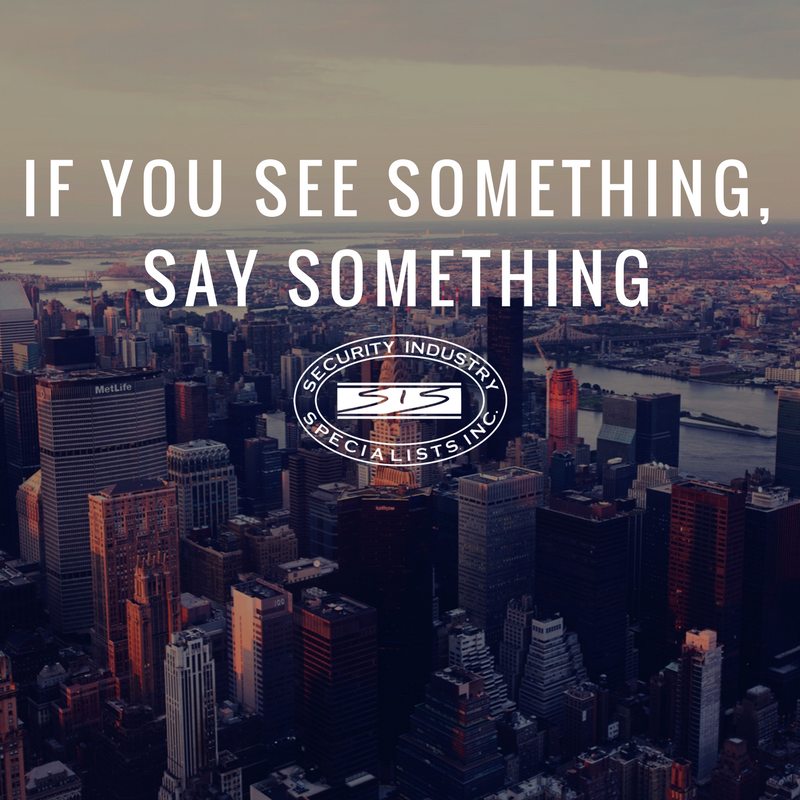 If you’re a security professional with us, how are you implementing “see something, say something?” Tell us in the comments below.